გოდფრი ჰაროლდ ჰარდი (ინგლ. Godfrey Harold Hardy, დ. 7 თებერვალი, 1877, კრანლი – გ. 1 დეკემბერი, 1947, კემბრიჯი) — ინგლისელი მათემატიკოსი, ოქსფორდის და კემბრიჯის უნივერსიტეტების პროფესორი, მნიშვნელოვანი ნაშრომების ავტორი მათემატიკურ ანალიზში და რიცხვთა თეორიაში. It is not worth a first class man's time express a majority opinion. By definition, there are already enough people to do that. ახალგაზრდამ თეორემები უნდა ამტკიცოს, მოხუცმა კი წიგნები წეროს. ციტირებულია ფრიმენ დაისონის მიერ. ინტერვიუ დ. ჯ. ალბერსთან, „The College Mathematics Journal“, 25, No. 1, იანვარი 1994.
მათემატიკოსი, მსგავსად მხატვრისა და პოეტისა, ქმნის ფორმებს. თუ მისი ფორმები უფრო ხანმედეგია ვიდრე მათი, ეს იმიტომ რომ ისინი აზრითაა შექმნილი. გოდფრი ჰაროლდ ჰარდი [1ლი გამოცემა კემბრიჯი: 1940] (1992). მათემატიკოსის აპოლოგია, ს. პ. სნოუს წინასიტყვაობით., 16 (ინგლისური), კემბრიჯი, გაერთიანებული სამეფო: Cambridge University Press, 153 გვ. ISBN 0-521-42706-1. მოძიებულია 2006-02-17. Godfrey Harold Hardy (ინგლისური). Science Quotes by Godfrey Harold Hardy. Todayinsci.com (1/04/2009). Quotations by G H Hardy (ინგლისური). Quotations. http://www-gap.dcs.st-and.ac.uk/. Quotations by Author: G. H. Hardy (1877 - 1947) (ინგლისური). The Quotations Page. QuotationsPage.com. 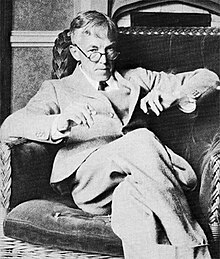 G. H. Hardy Quotes (ინგლისური). Quotations. Brainy Quote. ეს გვერდი ბოლოს დარედაქტირდა: 11:08, 11 აპრილი 2014.